I know the winter temps make you believe spring will never be here. 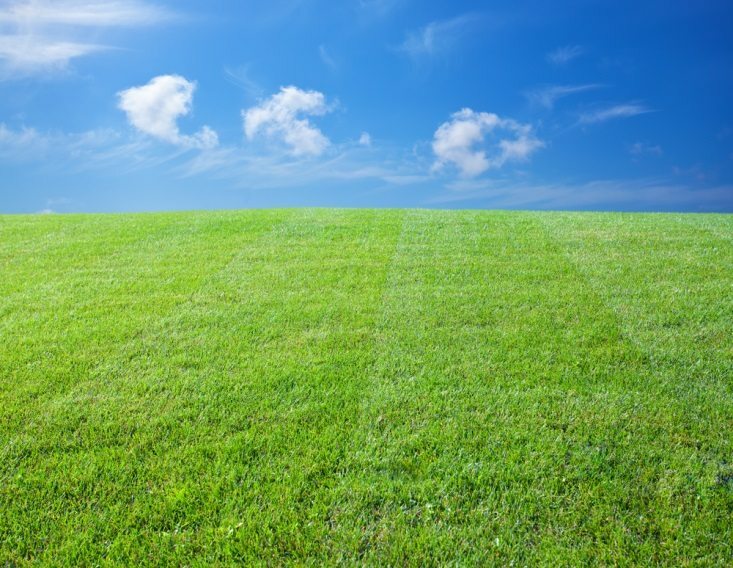 However, a healthy green lawn is not only beautiful and an asset to your home’s value, it’s also a major contributor to a healthy environment. Did you know that a 50 by 50 foot green space releases enough oxygen on a daily basis for a family of four? A lawn’s root system also stabilizes and protects the soil against water and wind erosion, and purifies the air by absorbing carbon dioxide and trapping and breaking down pollutants. Of course caring for a lawn means more than just turning the sprinklers on. In fact, the list of chores can be daunting: there’s seeding, sodding, raking, mulching, aerating, fertilizing, and dealing with weeds and insects, not to mention regular mowing. Raking does more than remove surface leaves, debris, and dead grass. If you apply some pressure, it removes thatch — that tangled mess of living and dead shoots, roots, and other organic material that develops on the ground under the grass — as well as any areas where the grass blades have stuck together into matted patches. Vigorous raking is good aerobic exercise, too, so you can consider that an added bonus. Has the surface become uneven or has the soil compacted over the winter? If the lawn has been ground zero for a season of touch football, or if it’s gotten any heavy traffic, you’ll want to repair the area so that drainage is equalized and there’s a smooth surface for what’s going to be your envy-inducing lawn. All it takes is a shovel to lop off spots that are raised and fill in those that are sunken. As far as aerating compacted soil, the equipment can be rented at a garden center. Grass thrives in neutral pH, soil that is neither acid nor alkaline. If you’ve had lawn problems in past seasons, or if you want to be extra cautious, you can buy a kit and do an easy test. You can also find instructions on the Internet for how to test the soil with simple ingredients you’ll find around the house: one test that sounds like fun is done with water in which you’ve boiled red cabbage, another just uses vinegar and baking soda. The remedy for acidic soil is lime, the fix for alkaline soil is sulphur. Best to get an expert opinion before you use either. A professional lawn care service can take care of all that and leave you free to enjoy the view from your hammock. Spring is not always the best time for seeding (check resources for where you live), but if you’ve got bare spots, you’ll want to fill them in. Buy the appropriate seed to match your existing lawn, and apply according to directions. Grass seeds germinate when the soil temperature is about 65 degrees Fahrenheit, so don’t expect results if the weather is still cold. The best time to take care of weeds is before you have any. Pre-emergent herbicides should be used before weeds germinate in the spring, but don’t use them if you intend to plant new grass because they will stop it from germinating as well. A well-fertilized lawn has a stronger root system to combat weather conditions, foot traffic, and other stresses. Feeding your lawn in spring, particularly if you live in the southern or middle part of the country and have warm season grass (like Bahia, centipede, zoysia, common or hybrid Bermuda) gives it the oomph for a long growing season. If you live in the northern or middle part of the country and have cool season grass (like bluegrass, perennial ryegrass, tall or fine fescue), many experts recommend a feeding schedule that’s lighter in spring and heavier in late fall; over-fertilizing in the spring can promote disease and weeds. There’s an art to mowing. While it may seem practical to cut your grass short so you can wait longer until you have to do it again, cutting it too short is actually harmful because it doesn’t leave enough nutrients in the leaf blades and it also exposes the soil to sunlight and lets weeds poke their heads up more readily. Start mowing when your lawn is at the tallest height recommended for the type of grass you have — generally between 2 to 4 inches — and remove only the top third of the blades. A benefit of cutting more frequently but cutting less is that the clippings are smaller and can be left to decompose in place rather than having to bag and dispose of them. 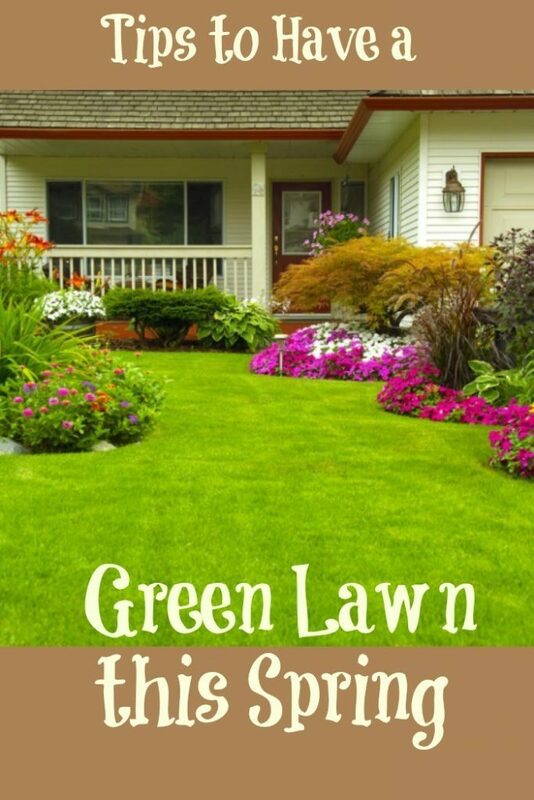 Check The Lawn Institute for lots more information that will help you to a lawn worth loving. What tips do you have for having a green lawn this Spring? Our lawn needs some help! It was a mess when we moved in two years ago and we haven’t yet gotten around to beautifying it. This will be the year! I always forget to get out there and do some raking. That thatch is probably suffocating my yard big time! I will be sharing this with my husband. The lawn is his domain. He takes great pride in it and I know will love these tips. I am a country girl so we used to just mow and not worry about anything else. We now live in a sub and we have to concern ourselves with all this. When I say “we”, I mean Walt. Thank goodness he has to worry about all of this and not me. We don’t have much of a lawn but I do keep my potted plants well watered and fertilized. I guess I got my green thumb from my mom. She grows the most wonderful orchids! I would love to have a healthy lawn like this one. We hired a landscaper last year but I still don’t have the beautiful grass that I had hoped for. I honestly do nothing to my lawn. We also mow less often than the neighbors. Our lawn is usually naturally green because we let nature do its thing. These are great tips. Fertilizing is very important.